Manage Bill Of Materials (BOM) for customers products. 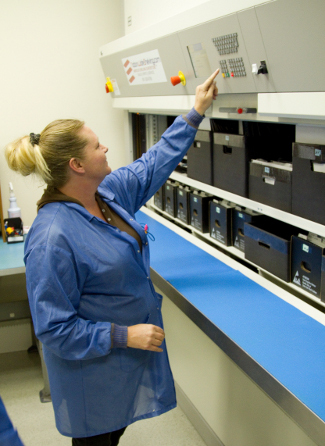 In 2011 we purchased and installed a new two story SMT inventory carousel! This has helped us better utilize floor space, create a central point of access and control of inventory and increase the security of our SMT components. Precision Assembly also follows strict guidelines in handling inventory items. All of our inventory locations and bins are ESD safe and all employees wear smocks and heel straps to ensure we have a static safe environment.